HTC's first foray into the tablet market and attempted topper of Apple's seemingly untouchable iPad, the HTC Flyer, is to see its touted Scribe Stylus land as an optional accessory priced a hefty £47.99. Officially titled the HTC Flyer Magic Pen ST D500, the tablet stylus, which is available from HTC's online store, interacts with the 7-inch touchscreen device, allowing users to write notes and draw on the tablet's screen with improved accuracy and detail. Described by the Taiwanese handset manufacturer as a “Battery Powered dual function pen [which] allows enhanced accuracy and precision for writing, editing and drawing applications,” the Magic Pen stylus also offers the ability to quickly highlight or annotate eBooks and web pages. With a Magic Pen stylus coming boxed with HTC's 1.2GHz single core tablet which boasts 32GB of internal storage, dual cameras and full Wi-Fi and 3G capabilities, those looking to pick up the tablet device when it hits the UK on May 9th will be need to be careful not to misplace the accessory or be faced with an expensive replacement option. 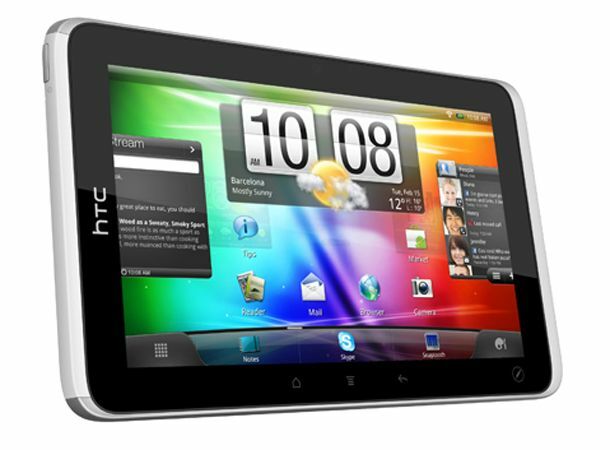 Can HTC and its stylus compatibility challenge the likes of the Apple iPad 2 and Samsung Galaxy Tab? Let us know what you think via the T3 Twitter and Facebook feeds.